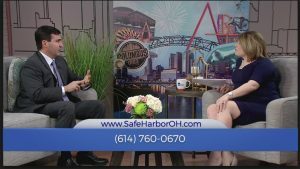 Cory Sickles, president of Safe Harbor, is a frequent guest on Daytime Columbus weekdays on NBC4 WCHM-TV. Daytime host Robyn Haines and Cory discuss various topics relevant for anyone concerned about their finances and financial future. Get the peace of mind you deserve. Planning and reviewing your financial legacy is the first step in protecting it.